Turkish furniture industry, in terms of design and production, will find its place in international markets with the power of education. Ekrem Demirtaş, President of the Board of Trustees, Izmir University of Economics (IUE), who stated that Turkey’s share among world furniture market was $2.7 billion, said that Izmir’s $120 million export in this industry would reach billions of dollars with design. Projects of students from IUE Departments of Industrial Design, Interior Architecture and Environmental Design, and IUE Vocational School Furniture and Decoration, and Interior Designs Programs were exhibited at the 29th MODEKO International Izmir Furniture Fair that took place at Fuar Izmir. 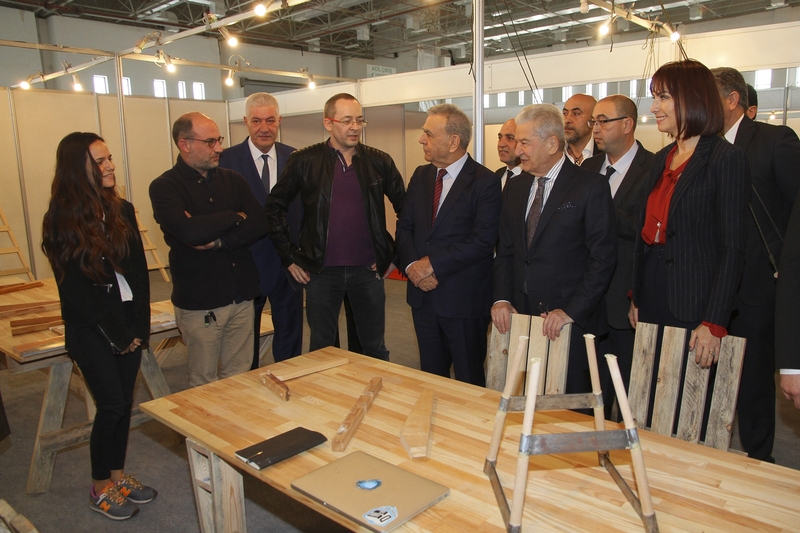 President Demirtaş, who visited students’ projects with Aziz Kocaoğlu, Mayor of Izmir Metropolitan Municipality, pointed out that not only furniture production, but also furniture design was important in terms of entering world markets. President Demirtaş stated that Izmir University of Economics trained entrepreneurial, innovative individuals with high design skills based on its international education mission. “Our students, both in Faculty of Fine Arts and Design, and Vocational School, are involved in production and industry in every stage of their education. They are meeting with representative of the industry at the fair. We are boosting furniture industry in our city by creating innovative designs and productions with our well-educated youth”.